This mural mainly focuses on the area formerly known as "Upper Mills". It pays homage to some of the former businesses situated on or around the site of the current Tourist Information Bureau. 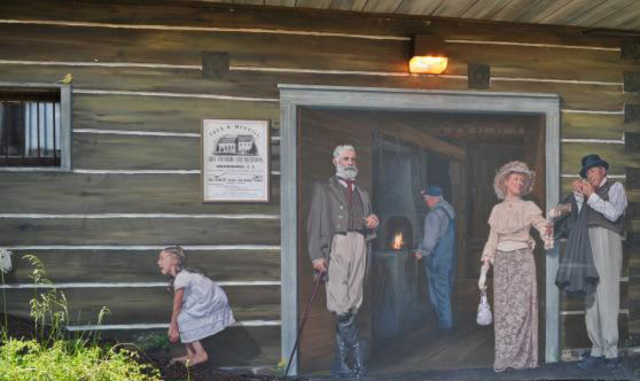 As you go down the stairs to the entrance of the Magog River Gorge, you are transported to 1867 and you can see characters talking. Some of them are fictitious, but others actually existed. 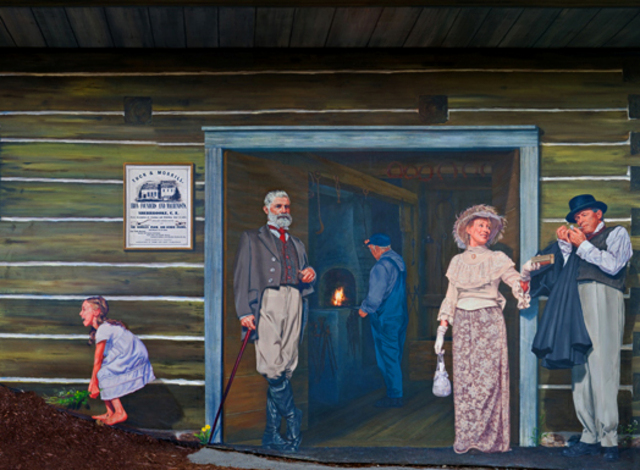 The mural gives the impression that the top floor was built on an old recovered farm building transformed through the years. Different factories were once supplied with hydraulic power produced from the dam (which was rebuilt over time). 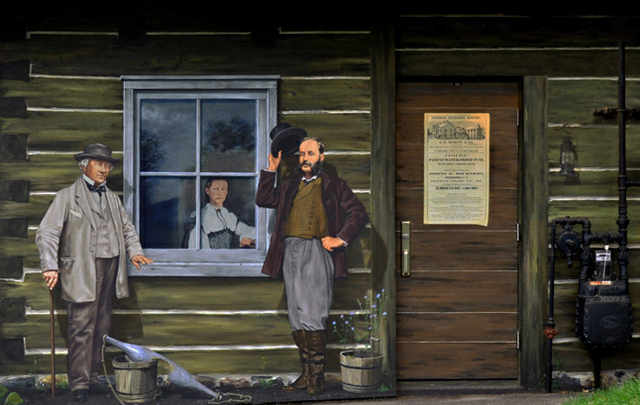 This mural is reminiscent of the former companies surrounding the Sherbrooke Tourist Information Bureau. To the left, Major Henry Beckett is responsible for the construction of Sherbrooke’s first prison and of the first buildings of Bishop’s University. To the right, Alexander Galt Lomas, mayor in 1883. To the left, George Gilman Bryant founded a building materials company and worked in the construction of dismantable houses. He became mayor in 1889. To the right, we can see Horace Taplin, the first owner of the match factory. Upper Mills - Find and Seek!